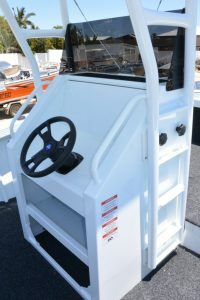 Sea Jay Boats has announced an upgrade of the iconic Vision console / T Top combination. The new and improved console is a whole new design intened to give a better layout, improved options for mounting of electronics and to incorporate a better fold down T-Top system. To make the optional folding T Top lighter & easier to put up & down, the over head storage box has been removed, however the extra space in the redesigned console more than compensates for this. The folding mechanism has been revamped as well. Gone are the bolts with large internal wing nuts. 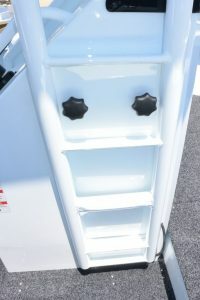 These have been replaced by large easy grip bolts and captured nuts; a far easier way to go. The new console is being rolled out from mid 2018 on all size Vision models. 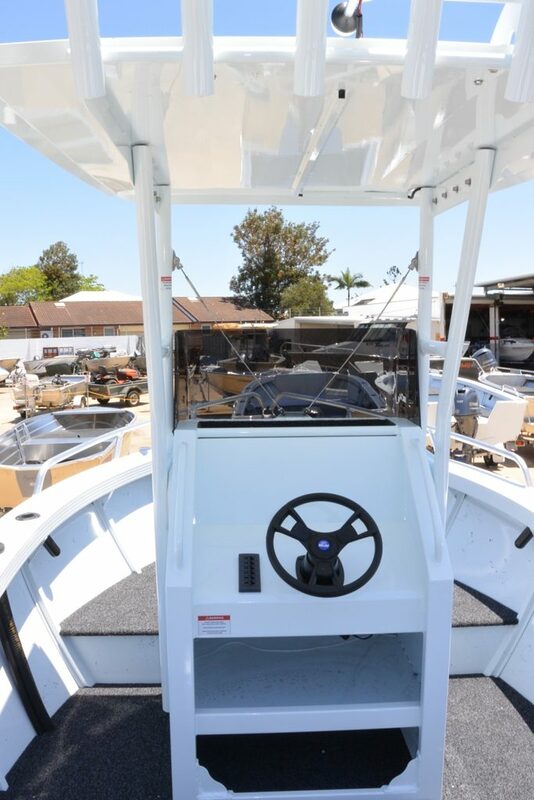 The folding T-Top option is available on all sizes except the 460 Vision.